Vandana Bharvani heads the User Advocacy group at Google. Her team conducts user research on topics of online safety, and works across the world to educate users, educators and influencers on the importance of digital citizenship. Prior to this, Vandana led a number of operations teams at Google focused on policy enforcement and fraud detection. 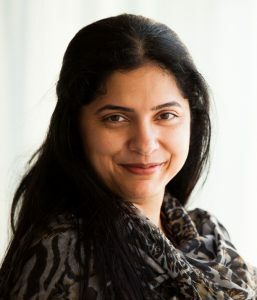 Vandana has over 15 years experience in strategy, operations and consulting, primarily in the retail and tech sectors. She holds a Bachelors in Engineering from University of Mumbai, a Masters in Engineering from Cornell University and a Masters in Business Administration from the Haas School of Business, UC Berkeley.